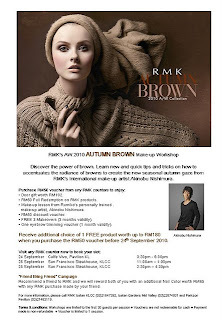 Wendy Pua | Malaysia Chinese Lifestyle Blogger: RMK AW 2010 Autumn Brown Makeup Workshop ~ Info! 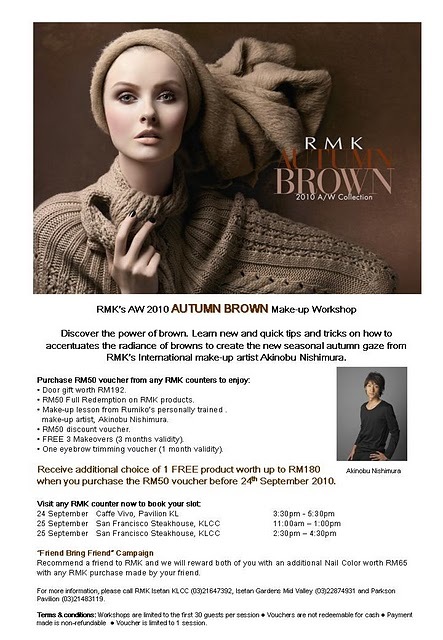 RMK AW 2010 Autumn Brown Makeup Workshop ~ Info! Receive additional choice of 1 free product worth up to RM180 when you purchase the RM50 voucher before 24th September 2010 ! Recommend a fried to RMK and we will reward both of you an additional Nail Color worth RM65 with any RMK purchase made by your friend. 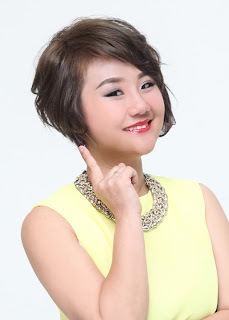 2010 - My New Hair Style! I 100% Love Cosme Decorte Moisture Liposome. My New Toy : GPS!